Seremban Sikh Naujawan held a camp at Khalsa Land in KKB, Selangor. They share a report with Asia Samachar. 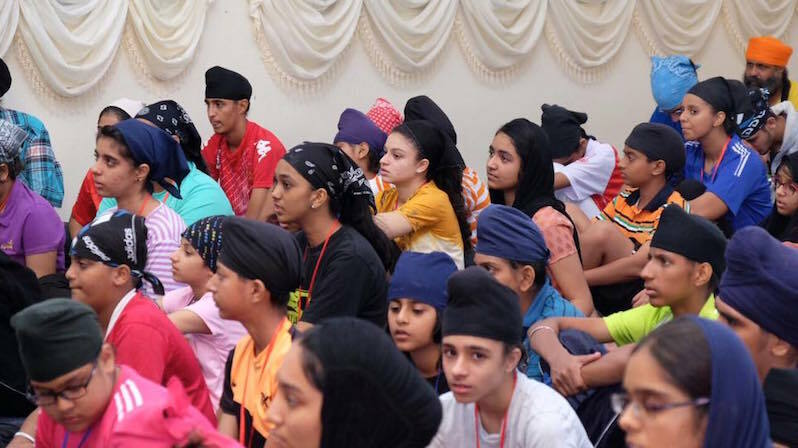 If there’s one word to sum up the recent youth camp organised in Khalsa Land by Seremban Sikh Naujawan, it would be ‘awesome’. The day-three night camp was filled with spiritually uplifting and character building activities. The activities ranged from inspirational darbar sessions, engaging study circles, to fun-filled outdoor activities. 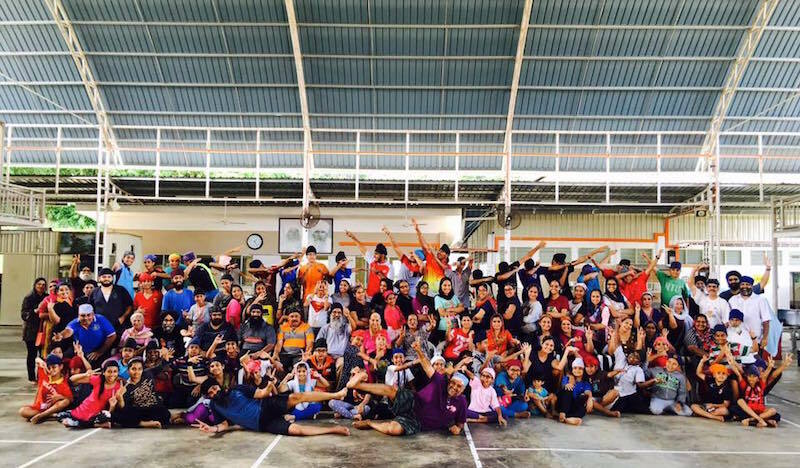 The camp, 6-9 July, saw 115 participants and 40 sewadars (camp volunteers) coming from Seremban, Klang, Melaka, Semenyih, Cheras and Mantin. The nightly inspirational sessions (sessions that combine kirtan and motivational talks, commonly called the IPS) were facilitated by Harjit Singh and team from Gurbani Naad, Raja Veerji’s Jatha, and Sarjit Singh Rawang and his accompanying musicians. On the first night Harjit Singh spoke on the concept of Sewa which was the guiding theme for the camp. Raja Veerji enthralled the sangat with wonderful renditions of Shabads laced with profound messages on the second night. On the final night, Sarjit Singh Rawang reduced everyone to tears with a powerful IPS session relating stories of 40 Mukhtey & 4 Sahibzadeys and reminding us of the ‘bedawas’ (letters of separation) that we write to our Guruji on a daily basis with the wrong doings that we commit. The morning inspirational sessions were facilitated by Rajvinder Singh and Jasbir Singh (Father). These sessions were pure joy to experience with an equal balance of singing Kirtan and absorbing vital life lessons derived from Dhan Sri Guru Granth Sahib Ji through meaningful Kathas. The learning modules for the older teens (Miri Piri) were well designed and methodologically delivered by Jasbir Singh (Father) in an engaging style. Two dedicated sessions on ‘Effective Communications’ and ‘Leadership’ were facilitated by Dr Amarjit Singh and Col Devinder Singh aimed at enriching the Miri Piri participants with vital life skills. A surprise visit by Veer Taranjit Singh Bhagwan, our very own Seremban born high flyer in the international scene, was fully capitalised through an impromptu session with the Miri Piri teens. At times the Miri Piri boys pushed the boundaries of discipline with their mischief and in the process drew tough love from the camp organisers. They however, won the adoration of all facilitators, sewadars and organisers when they selflessly answered the call of Sewa during an incident where floods caused damage to the sleeping quarters of sewadars and rendered a high number of beddings unusable. The boys sprang into action to help out with the significant cleaning operation even though they had to face the disappointment of not being granted the planned activity of jungle trekking due to unfavourable conditions. The Mighties and Nikkey Khalsas were in the good hands of Harmit (Honey) Singh and his team of dedicated Phenjias throughout the entire camp, and they did nothing short of an amazing job of educating and moulding the adorable kids on the theoretical and practical aspects of Sewa stations, and other Sikhi elements through fun and games. There was even a mini turban promotional event carried out for interested boys. Building from the success of the Melaka camp, the Sg. Besi Jatha were recalled to organise all outdoor and recreational activities during the camp; needless to say, they delivered emphatically with their creative touch. The outdoor campfire was held on the last night where attendees got to see such raw talent from participants who displayed impressive creativity of Sikhi messages being delivered in the form of play-acting and songs. The crowd enjoyed their outdoor meal while being entertained by the performances, as well as by a funny and witty emcee, Colonel Devinder Singh. The best overall Jatha Award went to Jatha Bhai Sahib Singh, for displaying positive characteristics and scoring high points in various activities & Sewa stations. This blessed event wouldn’t have been possible without the support of key players coming together, namely GSS Parbandhak Committee for contributing vital funding and other in kind resources, Sikh Naujawan Sabha Malaysia (SNSM) for lending us the perfect venue & essential equipments, the Steering Committee for organising and executing the entire event, the passionate Langgar team led by Malkith Singh and the boys (Darshan Singh, Harbinder Singh & Hardev Singh) who were the first to arrive and last to leave, the wise and knowledgeable facilitators, generous donors who contributed more than RM13,000, the Sg. Besi team for their excellent extra curricular support, Mr. & Mrs. Sarjit Singh for being such gracious hosts, Mai Bhago Gatka Akhara for their impressive and inspiring performance, the participants themselves for being the most loved and valued group of people in the organisation of this camp, and finally their parents for supporting it in more ways than one. A massive THANK YOU from the bottom of our hearts. May Guru Saab continue showering us with his mercy and blessings to continue reaching for greater heights. Let us have more such and other functions like birthdays and wedding anniversaries at KHALSALAND. May be those with event planning expertise can come up with some ideas to make greater use of this valuable real estate with many facilities located among nsture and known as KHALSALAND. It is the largest such land with Sanggat in the world. Congratlations to all hardworking Sewadaars. MAY WAHEGURU JI BLESS ALL.